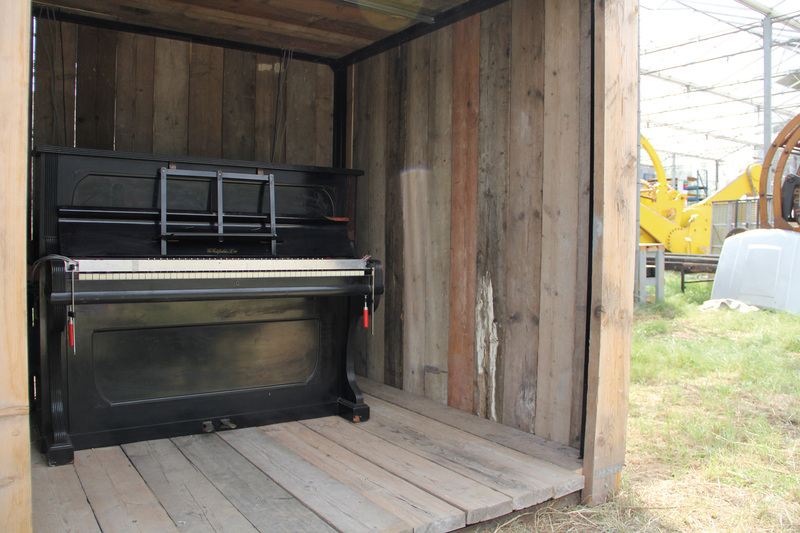 The art project was realised while in residency at the Verbeke Foundation in Belgium in July 2012. The foundation is a unique place for art creation and display because it has a significant amount of rural space and different species of animals that provide artists with extraordinary working conditions and inspiration. 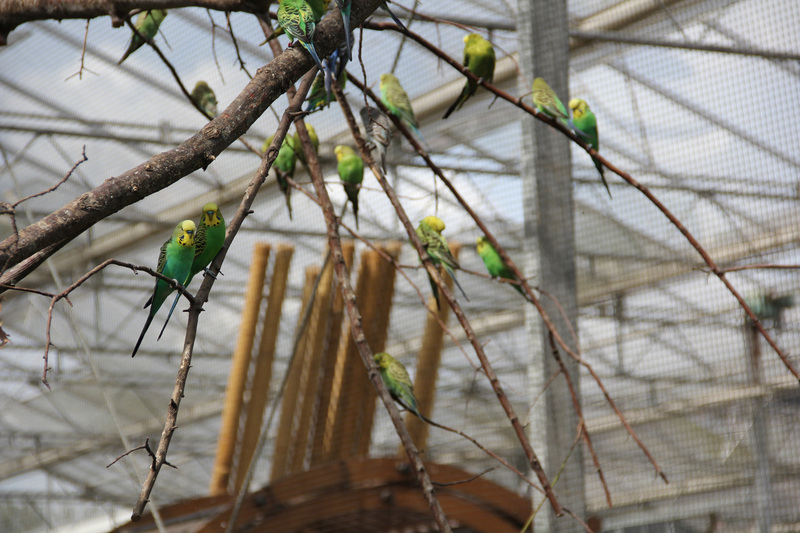 Hence, we were privileged to work with about 100 budgerigars (in short budgies) and convert their approximately 20 × 20 × 5(h) metre large-scale cage into an artwork. 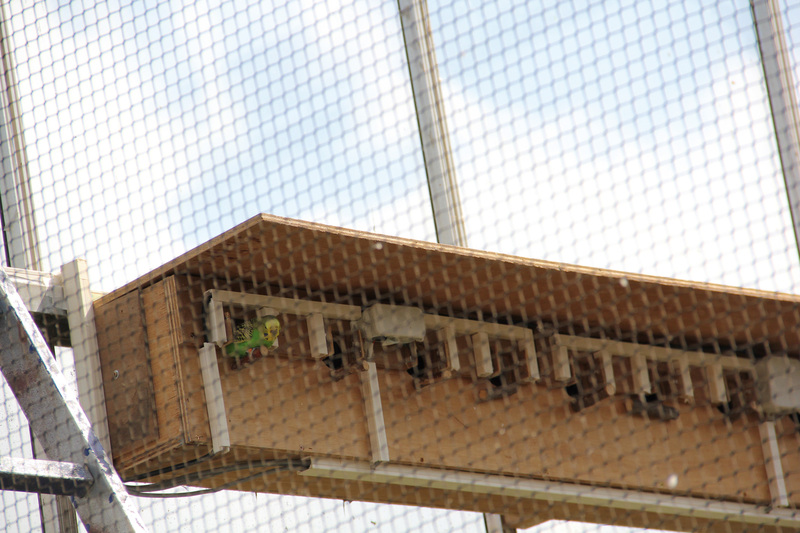 The art project consists of budgies creating a piano play by entering and leaving their birdhouses. 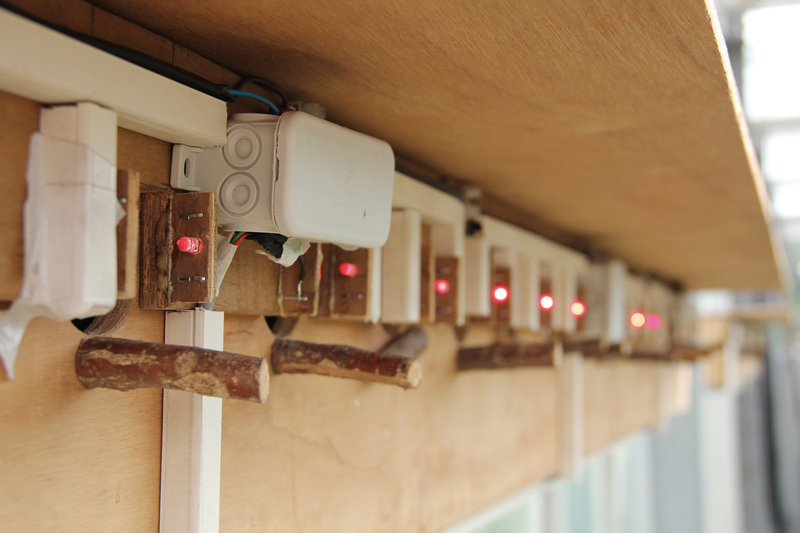 Each entrance to a birdhouse is equipped with a light sensor, which is triggered by a bird entering or leaving the house. 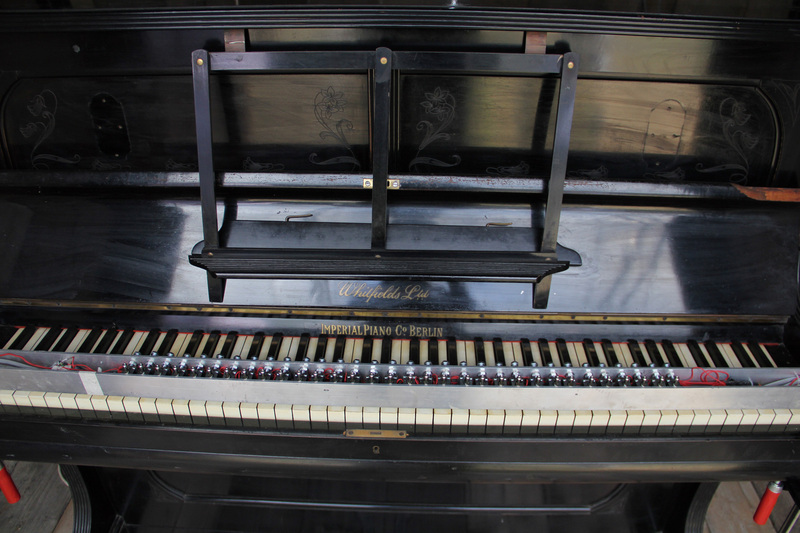 The sensor activates the correspondent solenoid, which pushes down a specific key on the Berlin piano, and thus, produces a note. In other words, Budgie Waltz draws on the budgerigars’ life pace and converts it into a piano play using a real musical instrument. Budgie Waltz registers every entry to the birdhouse by budgies. In a way Budgie Waltz aims to come as close as possible to the post-participative input and embrace it into the artistic process. Thus, without knowing and continuing their normal life, the birds become a part of the art installation. The topic of surveillance is one part of the concept, which is surprisingly translated into a piano play as a reference of not knowing what happens with these data subsequently. In this art project, the monitoring and tracking have travelled from a street and social media to home. As an ironical metaphor, the budgerigars become the actors of humans. Every time a bird enters or leaves the birdhouse, the piano key goes down and produces a sound. Like in a smart home, every time one asks to make a coffee, brushes teeth, vacuums the home or watches TV, he or she leaves a data trace behind. In the article “The House That Spies on Me”, Kashmir Hill and Surya Mattu discuss in detail what kinds of data get sent out constantly from their smartened-up home as an experiment. In their words, “[g]etting a smart home means that everyone who lives or comes inside it is part of your personal panopticon” (Hill and Mattu 2018). Out idea is to approach this problematics and paradigm of today with a non-linear artistic expression involving budgerigars, or more precisely, making artwork from existing birds living in their huge cage. We believe budgies forward the metaphor of being spied on at home and the surveillance state perfectly. In addition to the surveillance, an unpredictable score, which follows the everydayness of birds, is a part of the artistic thinking. Hence, the birds dictate the rhythm and pitch of the piano performance. Since coming in and going out of their houses is a part of the standard behaviour of budgies, it also allows us to discuss their rhythm of being. Budgie Waltz I aim to go beyond human-based or human-generated data and activities and use the birds’ behaviour instead.